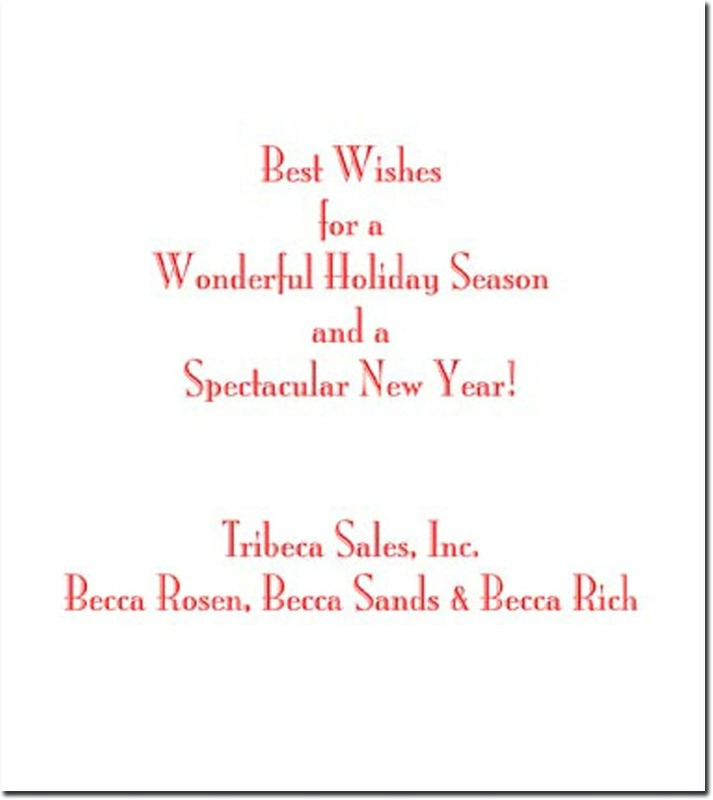 Folded holiday greeting card (fold at left) printed on your choice of carbon-neutral environmentally-friendly White or Natural (off-white) cardstock. Art created on a chalk is very trendy! 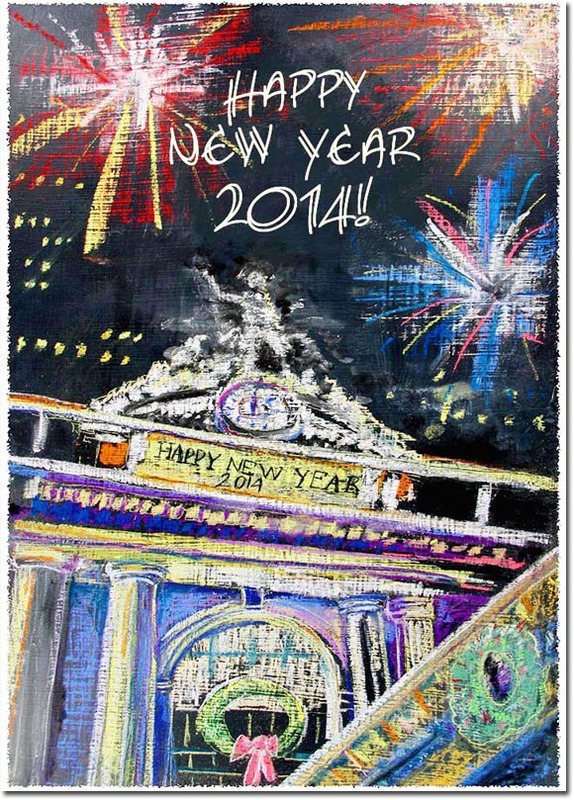 This whimsical piece of chalk board depicts a clock striking Midnight on New Year's Eve! The sky lit up with magical fireworks, wishing everyone a Happy New Year! You can personalize up to 3 lines of text on the front at the top of the card (the words "Happy New Year [Year]" will appear on the building.) 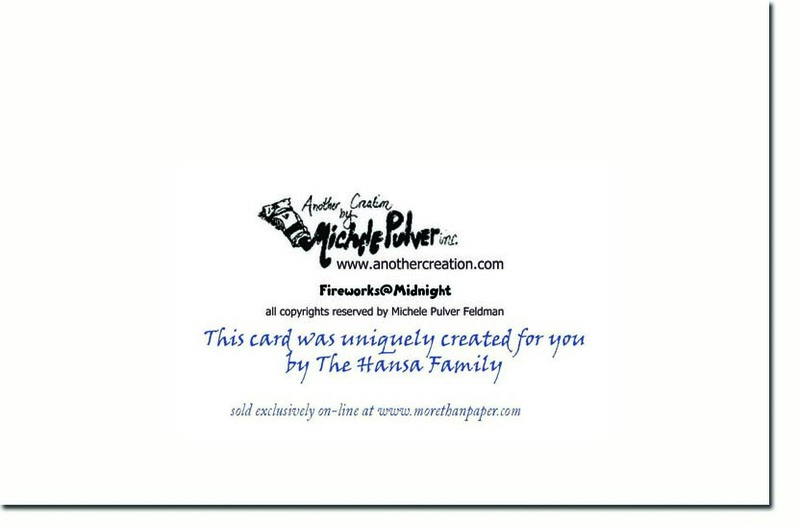 and your choice of greeting and signature lines print on the inside of the card. Mona Lisa shown. 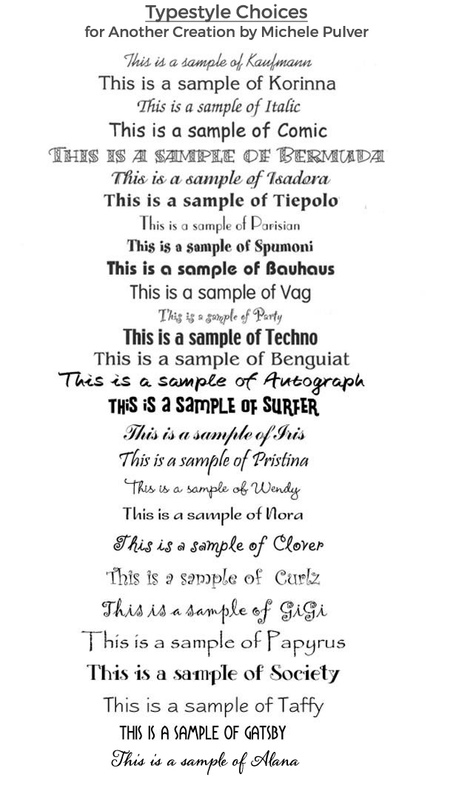 The typestyle will be as shown with the sentiment you have chosen OR you can change the typestyle to any available typestyle for an additional fee. Sentiment 574 shown. You can keep the current sentiment or choose a sentiment as shown in any other card. You can also create your own custom sentiment for an additional charge.